I love it when Marvel creates new and interesting female characters that represent a twist in established universes. In recent years, they’ve written some incredible stories with these new superheroes (and villains). And this year, Marvel announced an all-star team up of heroines led by She-Hulk. The core lineup consists of Dazzler, Medusa, Singularity, and Nico Minoru. Though there are plenty more Marvel favorites that will make appearances, as you can see from the cover below. Now, I’m a big fan of Teen Titans, the D.C. storylines surrounding the younger counterparts to bigger heroes. I’m not a comic-book writer, and I don’t want to be constrained to the Marvel Cinematic Universe. 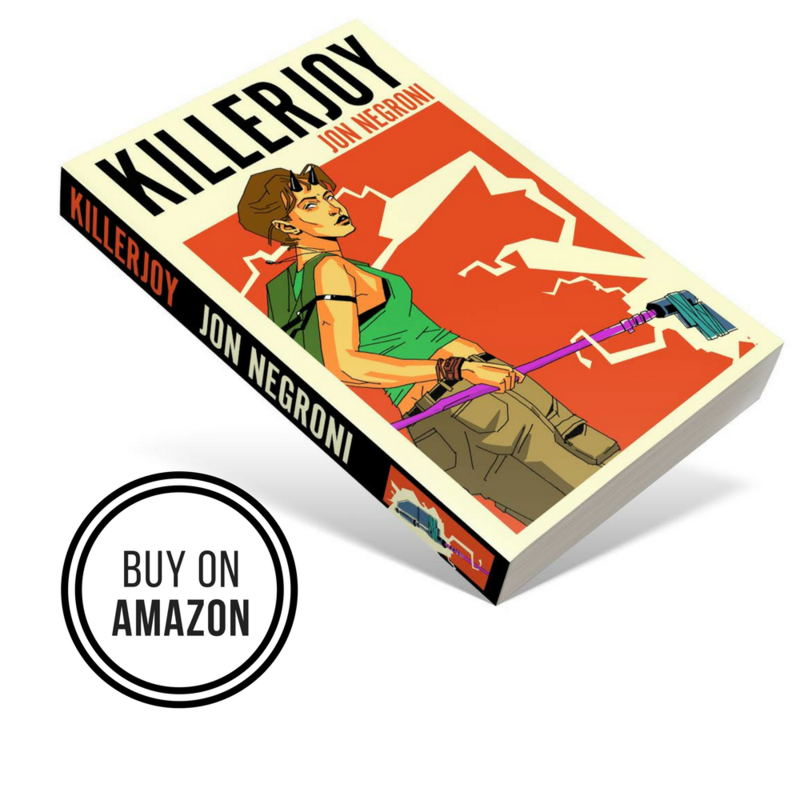 So I propose a killer animated TV series that puts “Teen Titans Go” to shame. I would call it, Teen Avengers. Sharon Carter, Thor, Ms. Marvel, Abyss and Spider-Woman (AKA Spider-Gwen). OK, let’s get the context started. In order for this team to make sense, I have to walk you through the actual story I have in mind. Don’t worry, we’ll just stick with the cliff notes, though keep in mind that this would be an alternate reality in which everyone’s age would be younger than what’s established. The series would open on Mars, and we’d be introduced to Abyss and her brother Ex Nihilo. An “Aleph” has helped them terraform Mars into a hospitable planet as their guide. They’re members of The Garden, a group of creation avatars that go to worlds and “plant seeds” to make them better worlds. Those “seeds” usually result in planets being completely wiped out, and The Garden now has Earth in its sights. Abyss and Ex Nihilo have unique powers in the comics. Abyss has mind manipulation, while Ex Nihilo is more of a powerhouse. Their plan is to terraform Earth by wiping out its inhabitants. The image above shows you a pretty good snapshot of their motivations. In the next scene, we see a teenage girl typing on a computer in New Jersey. She’s Kamala Khan, who will eventually become Ms. Marvel. She writes fan fiction about the Avengers and is a huge fan of this world’s Captain Marvel (Carol Danvers). Kamala goes to a party and tries to fit in, but she has a panic attack after coming in contact with a strange boy. He follows her home and reveals that he is Alaris, an Inhuman in disguise. He tells Kamala that she’s a descendant of the Inhumans, and she passes out in shock. She dreams of Captain Marvel, who asks her, “Who do you want to be?” Kamala replies, “I want to be you.” She awakens with strange powers and is unable to control them. We’d then shift to the S.H.I.E.L.D. Helicarrier, where Sharon Carter (niece of Peggy Carter from Captain America and Agent Carter) is working. They’re flying over New Jersey, where Inhuman activity has been detected. Sharon is in her late teens at this point, so she wants to prove herself to the director, Maria Hill. So she leaves the Helicarrier alone and uses her sleuth skills to find the Inhuman without starting a fight. Meanwhile, Abyss and Ex Nihilo have nearly arrived on Earth. Ex Nihilo tells Abyss that their plan will be to transform creatures into better creatures, starting with the most troubled. He points to a person in New Jersey who is struggling to control her powers. Abyss reluctantly agrees to pursue this, though she regards in how beautiful the planet already is. In New Jersey, Kamala tries to go through her day, but her powers are becoming more chaotic. Finally, she accidentally causes a car accident and her fists enlarge. Everywhere Kamala goes, she makes a mess, and now police are trying to subdue her. Of course, their bullets don’t work. Sharon Carter arrives, unarmed, and tries to calm Kamala down. It almost works, as Kamala tells Gwen her name and they connect for a second, until someone swoops in and covers Kamala in webbing. A girl in a white costume comes in and complains she had to come here all the way from Queens. It’s Spider-Gwen, the alternate version of Spider-Man, in which Gwen Stacey is bit by a radioactive spider instead of Peter Parker. A battle ensues, and it’s somewhat an even match. Sharon keeps trying to stop the fighting, but Kamala feels too threatened to back down. Finally, Abyss and Ex Nihilo arrive. Ex Nihilo defeats all of them easily and takes Kamala with him, despite Abyss’s please that she’s just a kid. Later, Sharon meets with Spider-Gwen, who is being held for questioning. She asks Gwen who she is and where she got her powers, but Gwen’s not interesting in sharing any origin stories. She just wants to get out of there and save Kamala, now realizing she was wrong to be so aggressive. Sharon tells them to let Gwen free so Maria and decide what to do with her, and then the entire ship quakes. Something has arrived on the hull. They go to the top to find an Asgardian getting to her feet. It’s Thor (the female version whose identity is a secret for now). Maria Hill called her to assist with this situation. They explain that Abyss and Ex Nihilo are from The Garden, powerful creatures who wipe out worlds to make them better. Asgard rules that Midgard (Earth) is under their protection from The Garden, and Thor has been sent to solve the matter. I could keep going, but you see where this is going, right? Abyss will ultimately betray her brother, Ex Nihilo and help Gwen, Thor, Kamala, and Sharon defeat him. Stopping The Garden ties each character together in their own S.H.I.E.L.D. sanctioned team up, which would make Sharon Carter their leader. My reasoning behind each character’s inclusion is pretty simple. They all bring something different to the table, and they each represent core universes in Marvel pantheon, with the sad exception of Iron Man and Hulk’s worlds. But that could be remedied. Sharon Carter represents the justice and strong leadership of Captain America, though not in name. Thor is the walking Deus Ex Machina. Spider-Woman (or Silk if we want to be liberal with the source material) is the quirky science whiz with tons of potential. Abyss is the former villain that people aren’t as familiar with, making her role dynamic over time. And Ms. Marvel is the wildcard. She represents us trying to figure this new world out that we’ve just been introduced to. She is, after all, a super fan writing fan fiction. What do you think of my story idea? Send me your questions, comments, corrections, and suggestions! So, in this team, is Thor an adult mentor to the Teen Avengers? Or is she a teenage Thor? This is the problem I have with it. The great thing about the Teen Titans (I love the Teen Titans, by the way), is that they are a teen team, led by teens. While it’s true that occasionally some former, now adult, members check in on occasion, adults do not lead the team. If Thor is an adult, then she shouldn’t be on the team. On the other hand, if this a teenage version of Thor, how in the world did she get Mjolnir from Odinson as a teenager? I find it way too hard to believe that Mjolnir would accept a teenager to wield itself when Odinson fell from grace. Well in this case, Thor would be young for an Asgardian. True, she wouldn’t be a literal teenager, but she’d still look young and act young because she’s new at wielding this power. Obviously, this would be an alternate reality, and I don’t want to spoil who this “Lady” Thor is. Instead, it would be fun to keep her identity and true age a secret, while still portraying her as a novice at being the new God of Thunder. That, or we could just do a young Valkyrie and be done with it. Yeah, maybe the next time I visit LA, I’ll slip the manuscript under someone’s door. Thanks for the encouragement! I hate Teen Titans Go, so my Marvel show would certainly take notes from the original. Though I should actually say that my Marvel Titans would certainly emulate Young Justice. You and I need to get together some time. The things we could do with our brains combined. Although, this would still make a great MCU show. Even if it would have to be changed up a little, still! I mean, it is still good as animated, but just a thought. This is fantastic! Making it part of the MCU is pretty tricky, what with Sharon Carter already being a 20-something and Thor’s story being pretty established. Spider-Gwen wouldn’t be able to make any appearance. Her existence alone would mean that Peter Parker doesn’t exist in the MCU, which is not the case anymore. 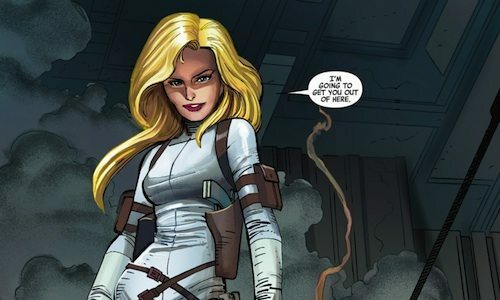 Sharon Carter, while not negotiable, would still serve as leader. Thor is probably going to be gone soon, or there could be some other Mjolnir or Mjolnir-like weapon. And Spider-Gwen doesn’t negate Peter Parker: it simply adds to the universe. Finish the spider’s story, perhaps! Spider-Gwen definitely negates Peter Parker. In Spider-Gwen’s universe, a huge part of her back story is that after she got bit by the spider, she failed to save Peter’s life from the Goblin. Without Peter’s death, there’s no Spider-Gwen. Kind of like there’s no Batman unless Thomas and Martha Wayne die. However, Silk could be a reasonable substitute for Spider-Gwen. She’s an intriguing new Spider-person, and her story could be changed to be a few years younger than she is in the comics. What if Peter Parker doesn’t have to die, but inspire her to be a hero through just what he does? I am serious though. We need to put our heads together some time. This lineup is so rad!? I really REALLY love how Kamala Khan was added, because honestly, she’s just so perfect as Ms. Marvel/Captain Marvel. The new Thor was a really lovely touch as well. Personally, if we’re going from any universe, I’d probably add supergirl myself. I know, a little cliche, but hey she’s so lovely honestly. Supergirl or the Scarlet Witch, though if you’re putting together a team of younger, teenage heroes, Scarlet Witch is a bit iffy. Honestly though, this lineup is beyond perfect, and everything I could have hoped for. I’m genuinely in love! I’m going to keep tabs on that new “female teen titans” though, it definitely sounds like a very interesting new series. I kinda got lost. I’m not familier with the original Teen Titans. I only know the Teen Titans Go from Cartoon Network, although it occasionally shows flashbacks of the original Titans. And I’m hopeless at Marval heroes. Except for Spider-Man, because he’s awesome. Basically, this is cool, and I’m just a confused nut.